THE COMPETITION IS hotting up as the Election 2011 candidates head into the home straight. 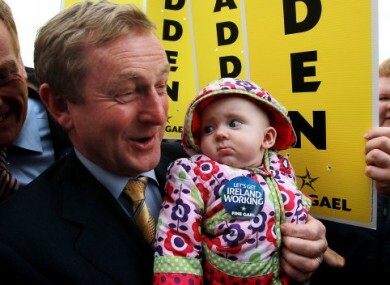 They are employing every electioneering trick in the book, especially the time-honoured baby-kissing photo opp. 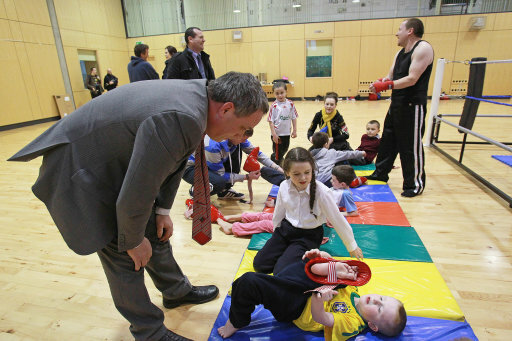 Click on each of the candidate names – Aengus O Snodaigh, Michéal Martin, Eamon Gilmore and Enda Kenny – to see how they have worked with children. 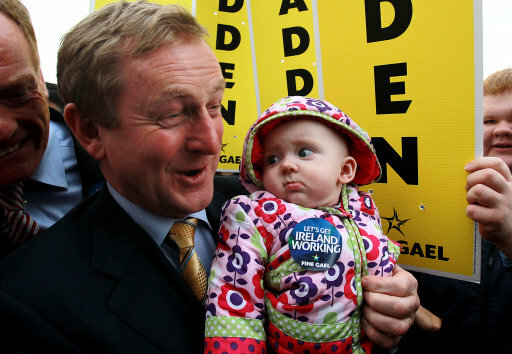 Then tell us – if you were those children’s parent, which politician would get your vote? 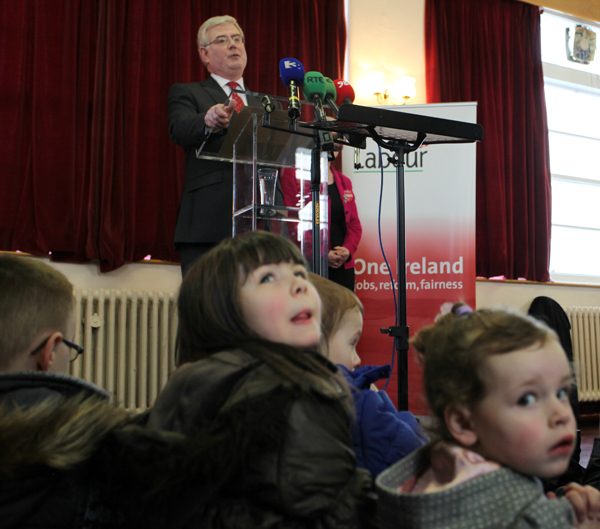 All pics courtesy Press Association images, except for Eamon Gilmore photo which is by Stephen Kilkenny. 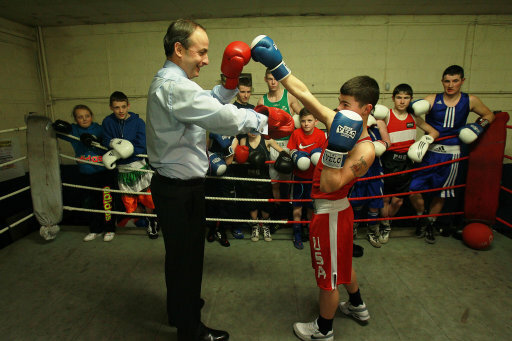 Email “Down with the kids: Who has the best 'tots-on-the-trail' pic?”. Feedback on “Down with the kids: Who has the best 'tots-on-the-trail' pic?”.